These days you can hit a big music festival in the United States any month of the year. 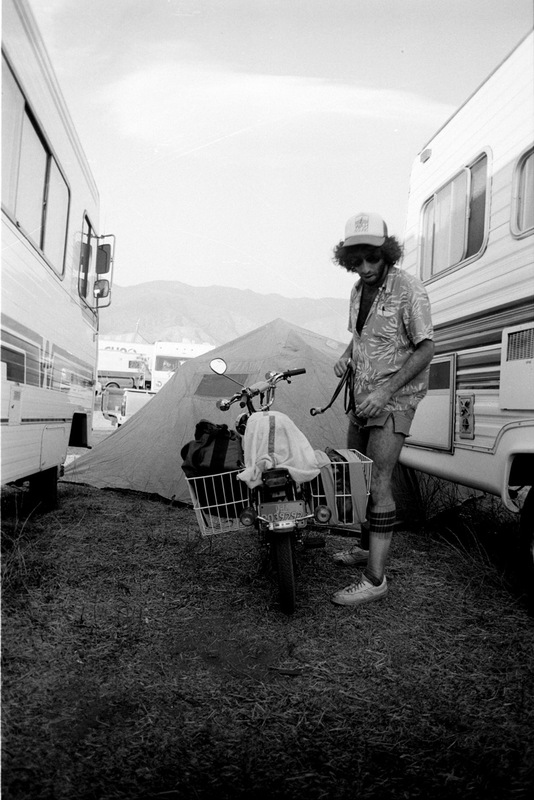 But before Bonnaroo, Lollapalooza, and Coachella, there were two landmark fests right here in Southern California in 1982 and 1983: The US Festival (with US as a pronoun, not initials). Imagine a music fest where you don’t have to wade through hours of unknown bands—one in which every act is a headliner—because you’d be hard-pressed to name a big act from the 1980s that wasn’t there. Unfortunately, that’s likely the reason we never saw a third US Festival—it lost an insane amount of money. 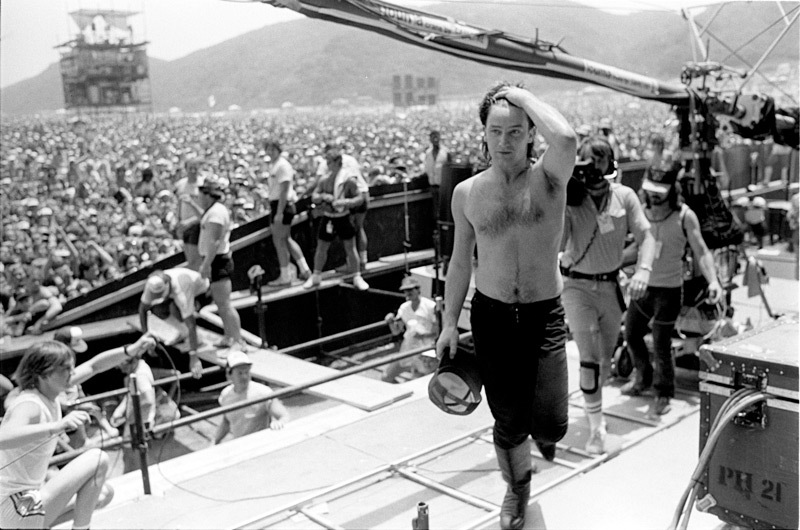 In our July 2017 issue, we tell the story of that remarkable but doomed festival along with exclusive photos from legendary rock photographer Neal Preston. You can see more of Preston’s iconic photos in a new coffee table book coming out October 1st on Reel Art Press called Neal Preston: Exhilarated and Exhausted. We spoke to Preston about the fest—got his take on some of his photographs, and what it was like to be there. There were a lot of people. As I like to say, in my life, and in my job, it doesn’t matter if there’s 500 people or 500,000 people, it’s all the same to me. I’m there to get the photo I’m there to get. But, obviously, you can’t not shoot a crowd like that! It was out there in Devore, California. It was hot. It was dusty. I’m on the stage. When you see the moment, you just have to grab it. That’s just a matter of instinct. It’s a fallacy to say that you get the best pictures from the pit. Look where all the photographers are, and go in the opposite direction, and you’ll be able to make a picture that no one else makes. You learn how to hide behind amps. 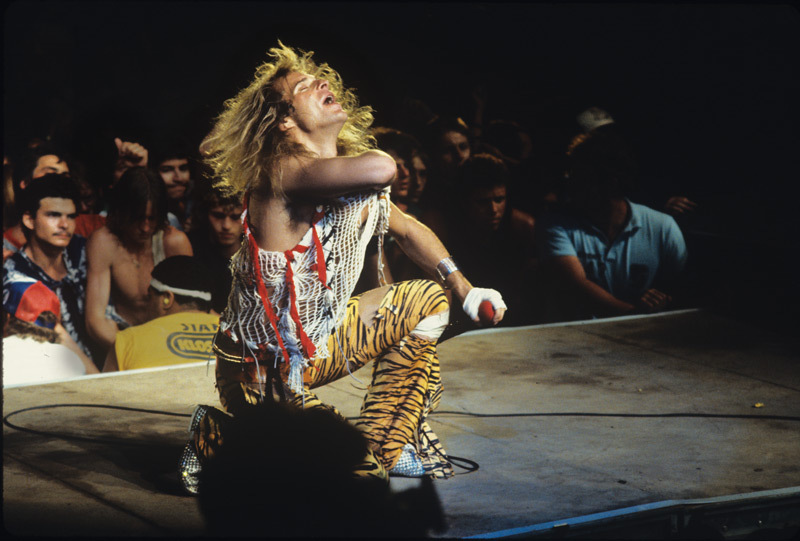 Van Halen, I dug, and apparently their US Festival show gig is legendary for having been really bad! I didn’t know that then. 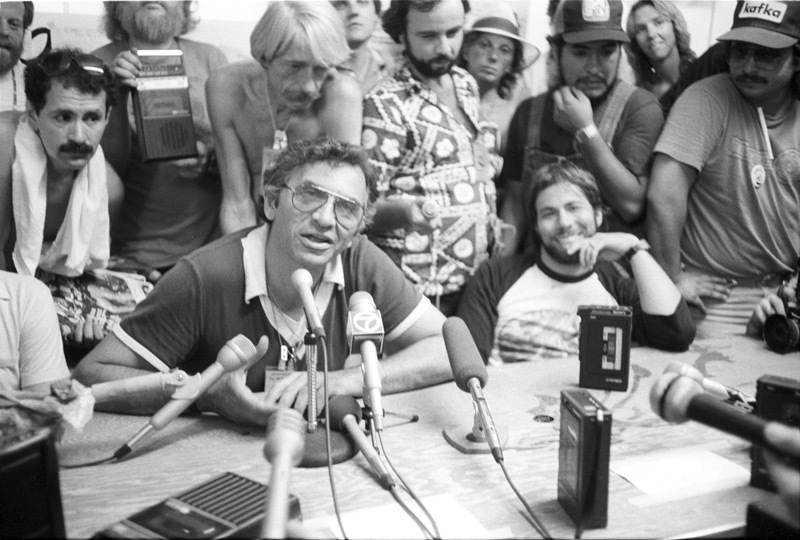 When Bill Graham’s involved, it’s always going to be organized. Bill was a very interesting guy. He was cool, generally. But I speak from experience when I say you do not want to be on the receiving end of a Bill Graham rant. They were loud; they were legendary. 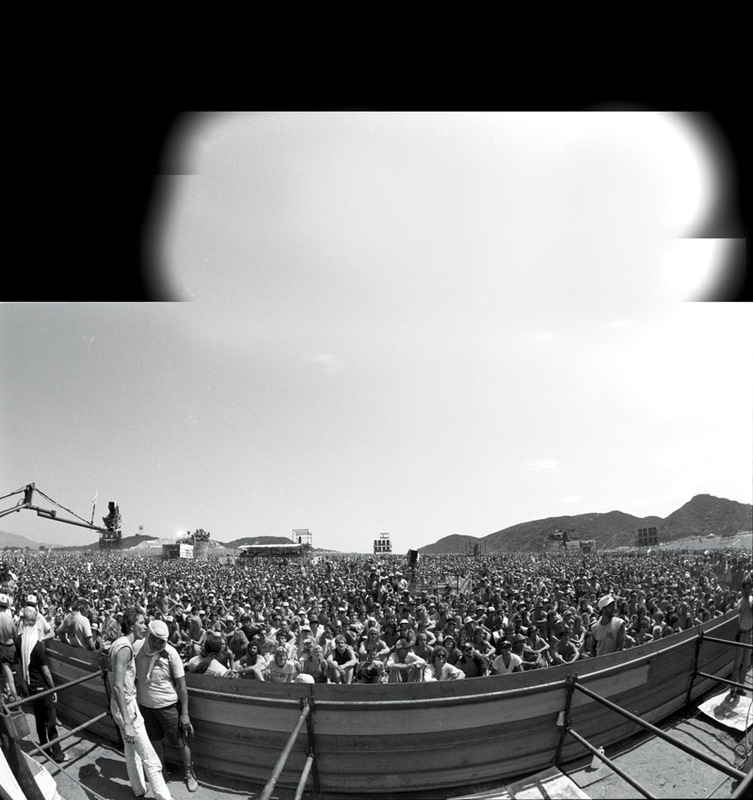 There is no worse feeling in the world than having Bill Graham screaming at you. It’s not a party. I’ve shot many, many different photo sessions with her. To me, this one is kind of garden variety Stevie. She looks pretty. 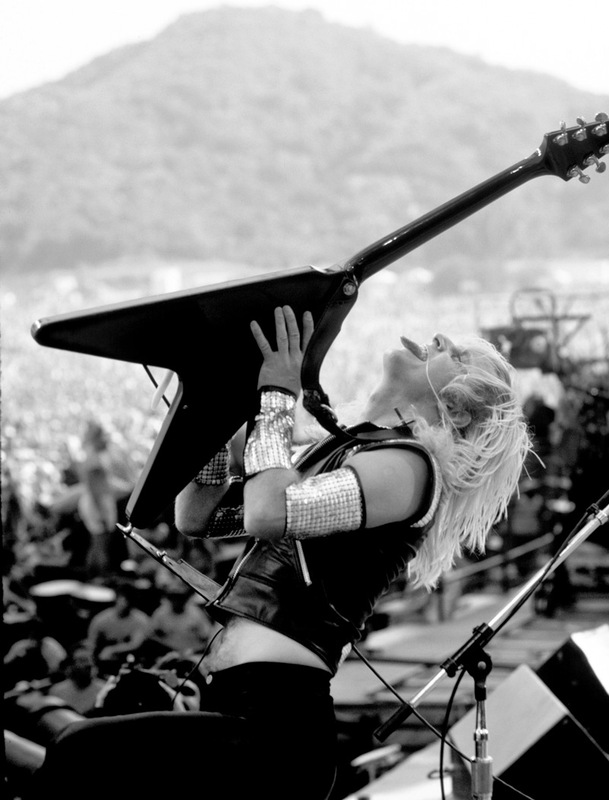 She was and still may be the most famous female rock star in the world. 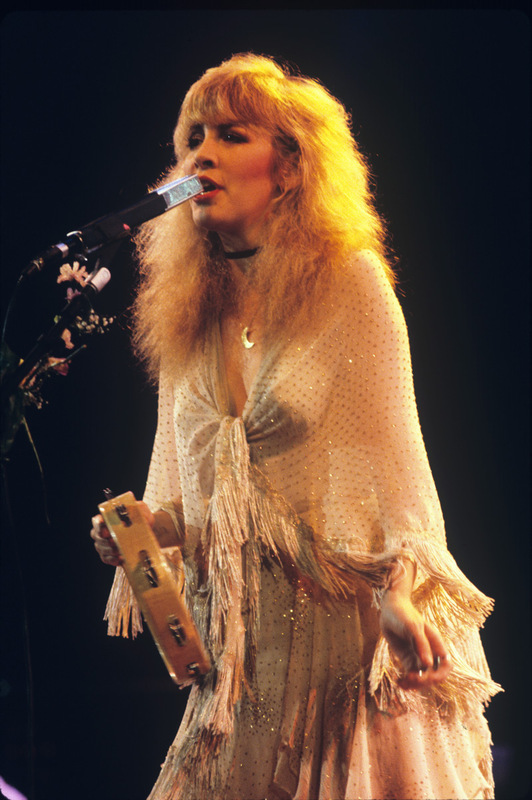 She did the first US Festival with Fleetwood Mac and she did the second one as a solo artist. I remember the Fleetwood Mac set being completely amazing. Lindsey was really on his game that night. 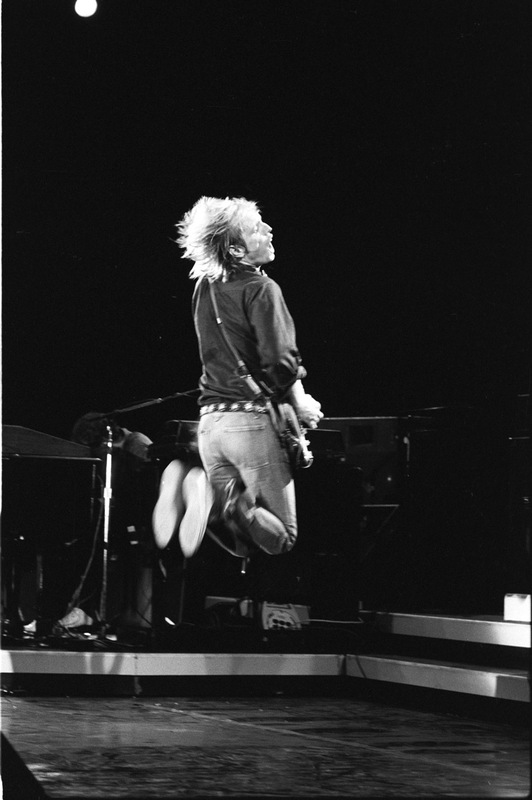 He is the most underrated guitar player in the history of the music business. The guy is insane. They’re not really my cup of tea. 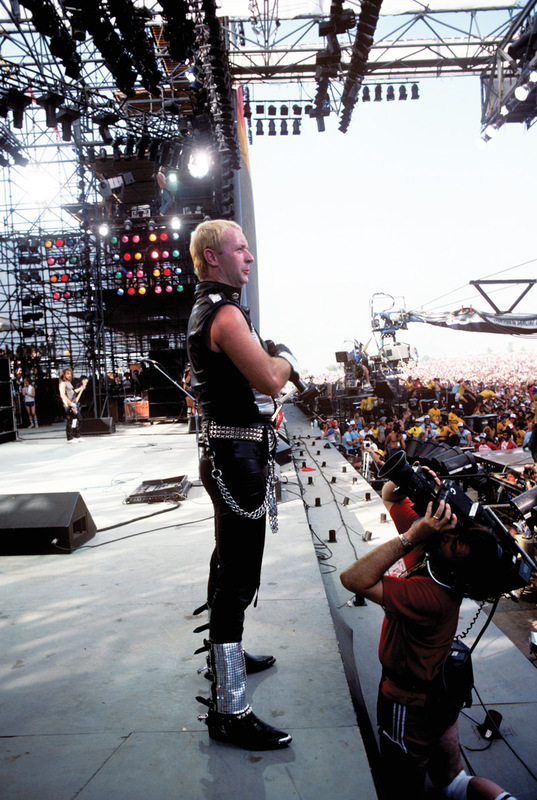 I was never a Judas Priest fan, so I never understood all the hubbub about them. I still don’t. I think they were getting into a van to go on stage. The shot looks like it was one of those happy accidents. It was certainly not a planned photograph. He does look startled—in the next frame he probably looked like he was going to punch me out or something. Tom played a great set, and I remember it being a long set. I’ve got some great pictures of him crawling around the stage during “Breakdown.” That’s just not something you see him do. There’s one where he’s crawling right towards the camera. He was very, very animated that night, more animated than usual. This one is during the last song of the set. That’s a very young U2. They stole the show the day they were on. They weren’t the world’s U2 at that point, and they blew everyone away. We didn’t know what we were getting with them. I don’t know if that was the first gig they’d played on the West Coast, but it had to be an early one. I’d never seen them, never even heard of them. It’s a really strong image and sums up the entire heavy metal world. It also explains in one image why Bin Laden hated us. That was many years and a lot of hair ago. I am out of my mind in that photo—the consummate depiction of sleep-deprivation. That was another one of my great ideas. I’ll just have a moped to ride around with. I didn’t think about the four camera bags I had to travel with! I don’t know if I ever did get that thing running properly. Previous article54 of the Best Things To Do in Downtown L.A.